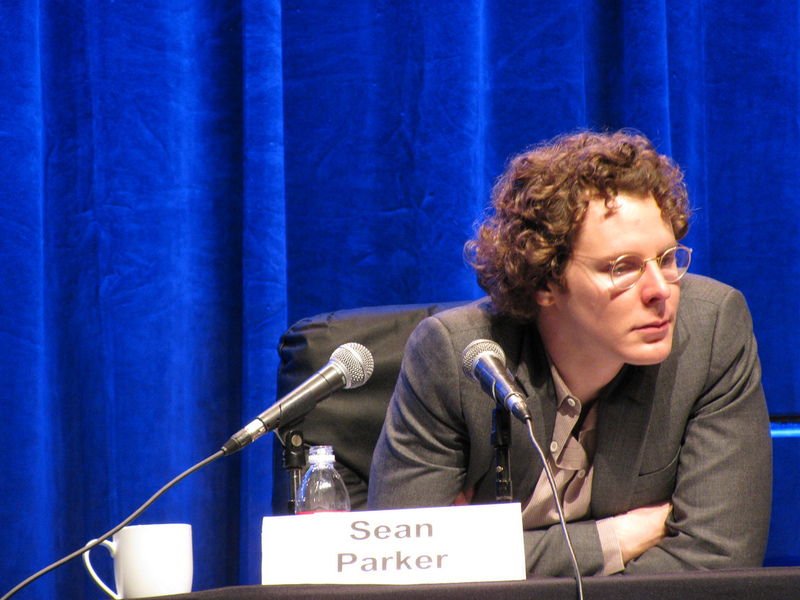 I will give Sean Parker this: he does know how to spin a phrase. Never mind the fact, it is still him trying to spin harder than a fat man (me) in a spinning class. His company, one he co-founded called Airtime (ChatRoutlette-minus-men-showing-off-their-private-parts) is essentially going nowhere fast. It has lost a lot of its team members. The offices are empty and the company is looking desperately to sublease its San Francisco office. Running a start-up is like eating glass. You just start to like the taste of your own blood. We are iterating on our approach… Airtime is finally getting around to some of the bigger ideas that got me interested in this project in the first place… Now is the most toxic time ever in Silicon Valley…Startup team are always in flux, so like all startups we’re always talking to candidates for various key roles… At this point nothing definitive has been decided….It’s only 12 weeks from launch…I’ve only been running the company since March. I added up all those random quotes from Gannes’ post so you can see what he is saying: absolutely nothing. Airtime really is a house of cards standing on a handful of matchsticks. The company has 10,000 monthly active users — and that is generous by any stretch of imagination. There is a steady exodus of executives, co-founders and smart people. Madness, I say! And no, it is not just an opinion. I have talked to folks intimately familiar with the company and have heard similar stories Liz has outlined in her post. Parker in the past has attached himself to working and growing concepts, most famously Facebook (s FB) and lately with Spotify. His talents helped those companies, but frankly, starting a product from scratch and building into a have-to-use fast growing service is easier said than done. In other words, let’s just face the facts: growth happens, for inexplicable reasons and you can’t draw it on a whiteboard. People no longer get told what products to use in a Web 2.0 era, they use them and spread them to their friends if they’re good. Color wasn’t– as was evidenced by its two-star rating. Money and grand articulations of a vision can’t shortcut that. The Web has become too crowded and users are too smart. She might just be writing about Airtime. If Color’s Bill Nguyen boasted about the $41 million he raised from Sequoia Capital, then Airtime talked about its $33 million in funding, celebrity launch event and bold claims that sounded hollow from day one. I didn’t really see what Airtime was for when it launched — I am sorry, there are already many tools that do a better job than that service. Skype (s msft), Facebook and Twitter – they were like nothing before and hence they grew so fast and swept the world. They were communication revolutions and the consumers rewarded them with attention. For now, Airtime wants to be a next generation Skype! Sure, and I want to be a latin lover. The fact is that in today’s attention starved world, if you miss the chance to make an impact, the world moves on to something new. It doesn’t matter who you were, how great your resume is and how many billions you have in the bank. Although, hard to argue, the best companies (Apple) included came back from ashes after they retooled and learned from their mistakes. It would be a great challenge. Love how he blames Airtime’s failings on “toxic” Silicon Valley. He could have avoided that by founding the company in Dubuque. Airtime and Color tried to cheat the growth cycle. What a waste of money and talent. I bet both will be bought by Facebook. “it is still him trying to spin harder than a fat man (me) in a spinning class … a house of cards standing on a handful of matchsticks. … Sure, and I want to be a latin lover.” Om, it’s been awhile since I’ve seen a rant this good from you. Nicely done. Facebook was like nothing other?